As you may already know, I’m a Baba & Boo ambassador and got sent some fabulous nappies to try out. I’ve never used reusable nappies before, but for lots of reasons I decided to give them a go – you can read about my reasons here. Baba & Boo nappies aim to fit babies from 8/9lb to 35lb – or when you potty train! Baby Yo is quite skinny, so I have to admit we’ve had to wait before we could start using the nappies on her, but we started using them last week, and I thought we’d share how we got on. The first day I will admit, it felt rather daunting moving into re-usable nappies, I have got so used to just changing the nappy and disposing of it in the bin, how will I manage with having to wash nappies, how will storing the dirty ones work?! I’ll admit I was a bit worried, all those worries which had prevented me trying them out before had returned. 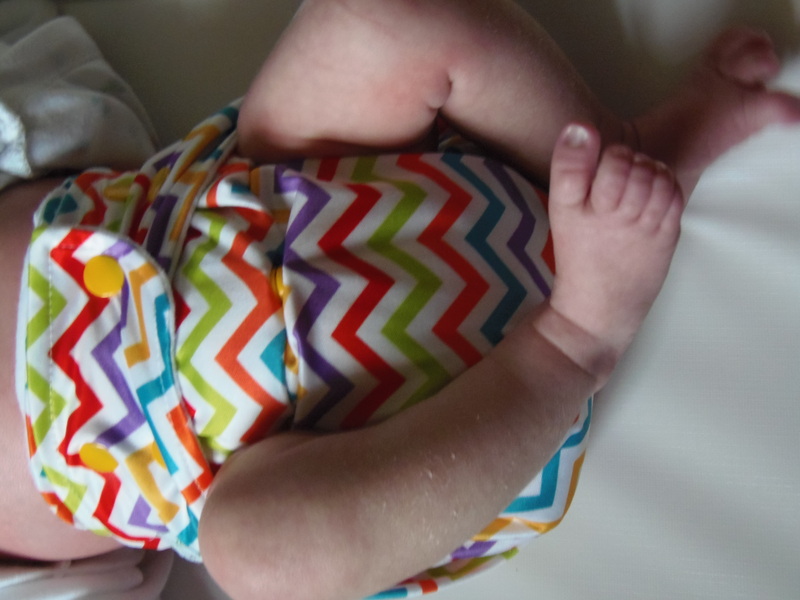 I consoled myself by choosing the prettiest nappy for Yo to wear, and then the fun began. Baba & Boo First attempt at fitting, note it’s not close fitting at all and will leak! The reply almost instantly was that it wasn’t quite right and they helpful tips.. thank goodness they did! Simple tips likeputting the nappy low at the back and then pulling the tab up and over once you have fitted the nappy around baby’s legs which then moves the nappy naturally up at the back..gives a much better fit! 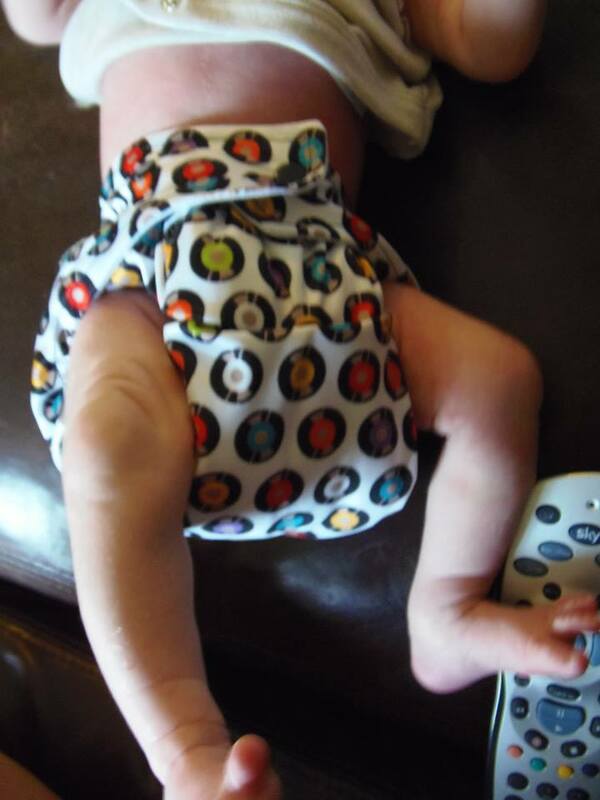 Baba&Boo Reusable Funky Nappy Still bulky as two insets, but getting a better fit! 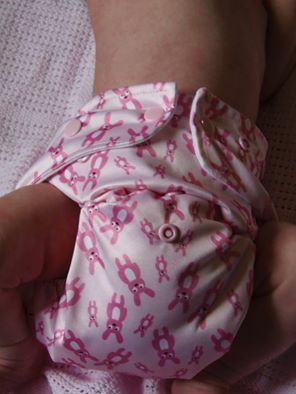 They also suggested I only used one insert rather than two, to make the nappy less bulky, which meant it was more comfortable for baby Yo (and easier for me to dress her!). Washing.. couldn’t be easier! The inserts pull out easily, and I store them all in a bucket then do one wash. The outers dry really fast, and the inserts air dry quickly to, so apart from the concern of where do I put the dirty wet wipes.. the getting the nappies clean part is easier than I thought it might be! We are still in the early days and we’re learning as we go, but we’re getting there and it’s a fun journey! Plus.. we’re saving money by not having to buy disposables and reusable ones are so pretty!! Getting better at fitting Baba & Boo nappies!